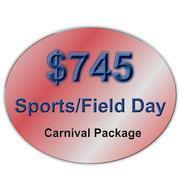 Our Discount Carnival Packages offer you variety and economy. They're made to fit any budget. If you don't find a package you're interested in, just let us know what you like. We can customize one for you! Build your own Custom Carnival. A Child's Joy is the only company in Arizona that raises and trains its own animals for Pony Rides & Petting Zoos, operates its own assortment of Carnival Rides AND has its own complete line of Inflatable Bounce Houses, Slides, Games and Attractions. When one company has everything you need it means SAVINGS for you. Fewer trucks and trailers traveling to your location with one crew instead of several is much more efficient. 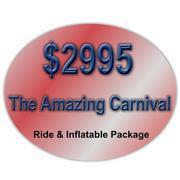 A Child's Joy has provided Quality School & Church Carnival Entertainment to Arizona Kids since 1990. We will work with you to create to right mix of Carnival Rides, Inflatable Games and Animal Attractions for your particular needs. Unlike many of our friends in the business, we don't do a "Carnival in a box" where you are lead, steered or forced to accept items that you don't want or need. 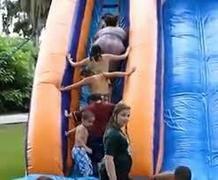 When you work with A Child's Joy, it is your Carnival. We're here to assist you with what you need. Our experience as an industry leader since 1990 is a resource for you. We've learned a thing or two from doing events just like yours for almost 25 years, heck a few of our competitors may have ridden our ponies at their own school carnival not too long ago! 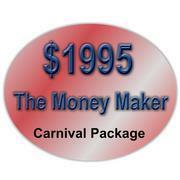 Below you will find a few Discount Packages to get you started or give you some ideas. These represent a few successful packages in several price ranges but are by no means the only ones we can put together. Remember, everything we do can be customized to meet your unique needs. We also do Unlimited Ride Wrist Band Programs for more info on that just give us a call.